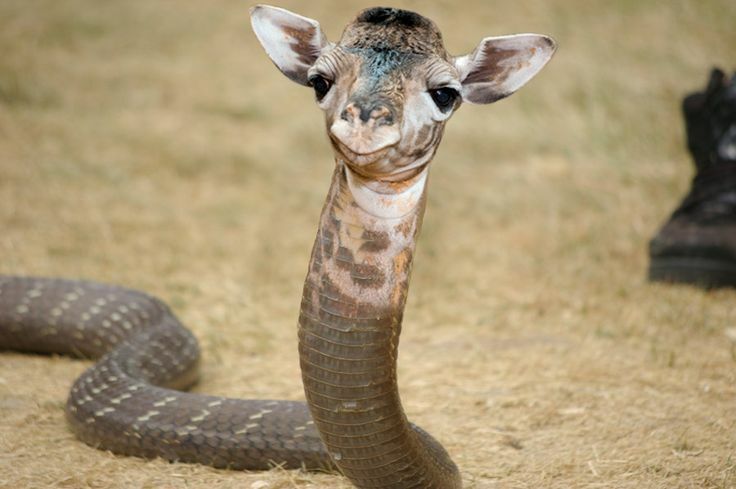 It all began in L.A. California when I had to go to Africa on safari, to hunt the Wild Weirdo Snake. Because I was a scientist and had to study one. So I went to Africa to the big bush (the grassy swamp land). I was there but suddenly I got lost. Luckily, I brought a map. But it started to rain and my map got soaked. So I couldn't use that. But then, in the midst of the jungle, I heard what sounded like Indians. So, I ran, but they were coming from all directions. They came and got me. They had a Wild Weirdo Snake for a pet. So they wrapped it around me. I died. So they ate me. And for the rest of my life my head hangs from a stick. *Thanks to my mother for saving this. The last orang standing (no place to swing): why do we care? And there was a recent, truly uplifting story, from Al Jazeera, about a conservationist who has spent decades carefully and patiently enabling orangs to return to the forest. 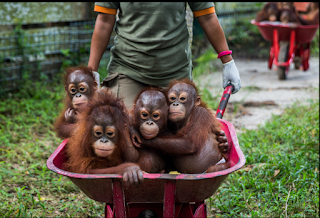 Orangutans are in trouble, and at least some people seem to care. Indeed, the pathos is about much more than individual orangs orphaned to a cruel fate. It is about the endangerment of their species itself. There are similar concerns about other species, such as the likely impending doom of other great apes (besides ourselves): chimps and gorillas, in particular. But, in fact, why are we concerned? It may seem obvious. After all, every individual dies--humans, ants, birds, our pets, our children, ourselves--and orangs. We don't want to die or suffer, so maybe it's natural in some way for us to empathize with those who are dying or suffering. Knowing we ourselves will die some day, we don't like to see other individuals die, and in a collective sense, we extend the same feelings of empathy rather automatically to whole species. But while it may be uncomfortable to think about it, 'we care' doesn't apply to everyone and it's at least worth thinking a bit about why anyone would care. Every species becomes extinct. There will always be a last one standing (or, if there are still trees around, swinging). And it, too, will go. Even if we except those lineages of life that continue to produce offspring which some day we would dub with a new species name, many if not by far most species eventually disappear without issue. Extinction is a permanent loss (even if some geneticists occasionally resuscitate a dodo, mammoth or Neanderthal from DNA), but so is every death. Orangutans and chimpanzees may be cute fellows we can relate to, but there have been quite a few other ape species over the past few million years. Each was presumably just as cute and cuddly and person-like in its own way, as the orangs, and chimps are today (not to mention those lumbering gorillas, and gibbons, those acrobatic swingers). But something did each of them in, except for the one lineage that led to us--and it may have been that one--our ancestors--who did the others in at the time! They didn't set up nature reserves for the other, unlucky, apes. Extinction is a normal part of life. So I again think it's fair to ask why our empathy is so poignant when we can document fates such as those of the orangs, or the many other endangered species, that we can see in the flesh. The daily obituaries and the vanishing orangs are instances of business-as-usual, that happen to be taking place in our own particular time. It may well be that the specific forces at work today are uniquely due to the predominance of humans on the earth, but from a more distanced view, that is just one of many more or less unique eons or events during earth history. We've been changing things very rapidly, but perhaps not particularly more dramatically than major cataclysmic meteor strikes or volcanic eruptions that have, or may have, quickly changed global climates and led to mass extinctions. So even if the details of human agency are specific, the phenomena of change are generic. The comings and goings of individual plants and animals, of species and ecosystems have always been specific to a given time and place. That is the essence of evolution as we know it. One could even say that, as biologists, we should be glad that we can see the theoretically hypothesized, inferred process of extinction in action in diverse ways. It is also interesting to me that while we may rue the passing of a few orangs in a jungle, that means we are being unsympathetic with the people who need (or want) more rice fields or timber, or to make a living by selling ivory. Indeed, in many ways we often seem less concerned about the many individuals of our own species who are daily subjected to marginal or lethal living circumstances, or who are bombed out of existence, also by humans. There are far, far more such victims--each of them individuals--than there are living orangs who could be subjected to such forlorn fates as are seen in these recent news stories. So in some ways the 'we' who are so empathetic are sitting in protected privilege, and isn't that empathy a kind of self-flattering feeling? Vegetarians have various reasons for following their diets, one of them being that they don't want to be the cause of death or suffering of animals. This may be similar to sentiments about displaced orangs. And of course, most people who can do eat meat, even if we want to save the orangs, and are antagonistic to poachers or encroaching farmers. It may seem less existential because we can, after all, always make more chickens or cows. And if salmon become endangered, we try to stop catching them (for a while). That is rather selfish even if there might be a twinge of compassion involved. It is rather similar with climate change, I think. We know very well that not even continents are forever. Islands and shores come and they go. We owe today's gorgeous mountain ranges, and spectacles like the Grand Canyon, to yesterday's destruction of what was before. Why do we care about climate change when, in essence, climates have always changed and the major effects of this epoch will occur decades or a century or more from now, when neither we nor even our children, will be here to see them? Yes, humans may be the immediate cause of this cycle, but if we stopped driving and flying today, biogeography will change anyway, in its own ways and on its own times. In every objective sense, climate change and the conflicts and dislocation that will be associated with it, will just be another part of the earth's long and dynamic history, an evolutionary history, not always pleasant, in which every today is left behind to become a yesterday to its tomorrow. Obviously the key is what 'in every objective sense' means, or doesn't, to these feelings. Perhaps the fact is that this is not a phenomenon in any objective sense. Instead, it is personal and emotional. Is it a form of sappy nostalgia, or some strange empathy that we extend to a few furry friends if not always even to members of our own kind? Is it deeper and more self-referential, an extension of the empathy for our children and close kin, that evolution has programmed in our particular species? Do we shed tears for the hapless orangs because we know our own similar fate awaits us? 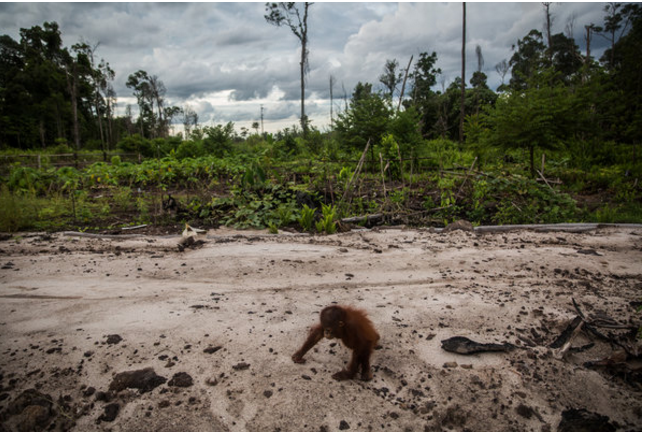 Is our empathy for orangs and other endangered species a way of pretending, somehow, that by 'saving the planet' we are saving ourselves--a need to feel important, or a desire to avoid facing the fact that it will be me sometime soon, too? To many people this sort of empathy gives life its 'meaning', a vague term that refers to values we choose to hold. These values are subjective, and we know that such 'meaning' is just for our own personal, temporary lives. Some deeply religious people believe God gave us the earth to exploit, yet other equally religious people believe we must cherish it and keep it as pristine as God made it. Indeed, the atheists I know are at least as empathetic to these values for reasons they might not even think need explaining: it's just how they feel about the cosmos. Personal value systems are in essence how we choose to live and what to value in the time we happen to have here, even when we also know they make little difference to long-term nature. It isn't nice to do so, but I think it's appropriate to note that even this kindly view is not so innocent: What people value is also what they so often seem to feel they must force others to value as well, which is more or less how we behave about sociopolitics generally. We sympathize with the orangs and elephants but demonize the farmers who are clearing the forest, or the ivory hunters. To me personally, at least, if we want to try to be objective about the cosmos, and we accept that evolution, with its emphasis on reproduction and survival and thats pretty much it, explains how we got here, i't's unclear why we should particularly care about anything other than what affects us directly, or perhaps indirectly in the sense of our children, and even that seems to be purely from survival instinct. 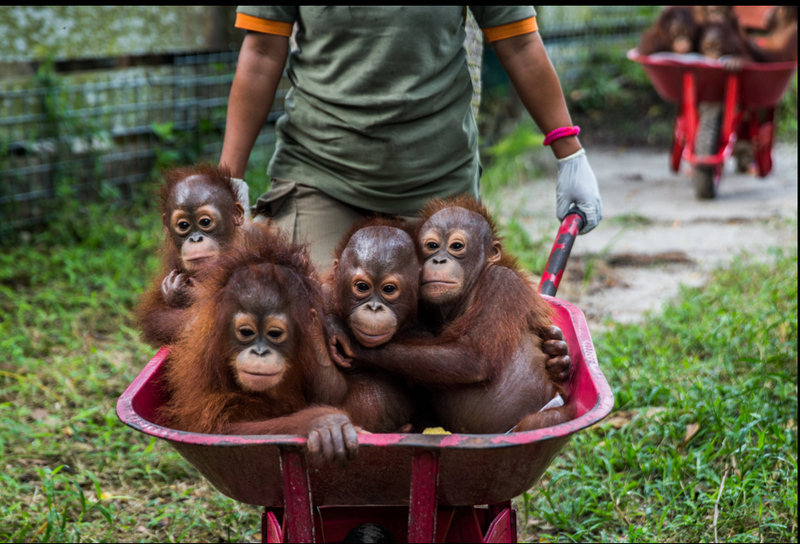 Maybe it just pleases us to see orang-rescue stories. But I still find it curious that we care or even wish to prevent what we know very well has always happened, and is indeed the basis of the evolutionary processes that made us possible. In some ways, we act as if extinction were some new phenomenon, newly ominous in the world. So what if, in our time, it happens to be a few apes or coral or whatever that disappear? The 'so what?' would have to be either that we are oblivious to the realities of evolutionary existence or that we know those realities but choose to hold some values that give us a sense of existential value or purpose, in our own lives, even if they are individually fleeting. I myself like attempts to preserve what seems good in the world. I am warmed by the fact that some lucky orangs will be given a chance at life, because somebody cares to do that for them. I feel that way even if I know that their eventual death, out there in cruel Nature, is likely to be very unpleasant. In fact, it may be a blessing, because the last orang standing, or swinging, will be very lonely. And I love our three cats! I personally agree with sustainability people in thinking that we should cut down--way down--on our consumption and pollution, and on causing major ecological changes. But I also realize that my feelings are just my own, probably rather egotistical, way of making it through the temporary maze. There will be a last hurrah for the orangs. It is likely to be soon. But, despite all I've just said, I don't want to see it, because while it may be naive vanity, I too care.